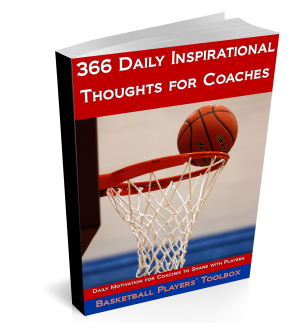 I am always looking for skill improvement drills that are competitive and or put pressure on our players. I like this partner shooting drill that puts peer pressure on the shooter to hit the shot for his/her teammate. This drill is provided by BasketballHQ.com. To see more of their resources, click the link. A really good shooting drill to use in out of season workouts or during practices. You can certainly add your own variety of shots. To add a level of competitiveness, you can time how long it takes to complete the drill and have the players compete to a certain standard or to break the personal or team best time.